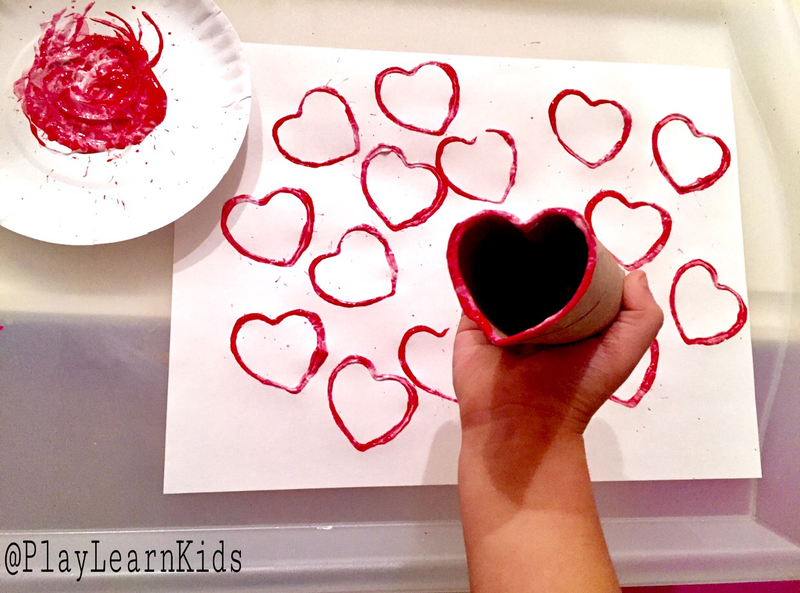 Heart Prints: Fold an empty toilet paper or paper towel roll into the shape of a heart. Have you child dip it in paint and stamp away! A super simple way for even the littlest ones to get into the Valentine’s Day spirit! 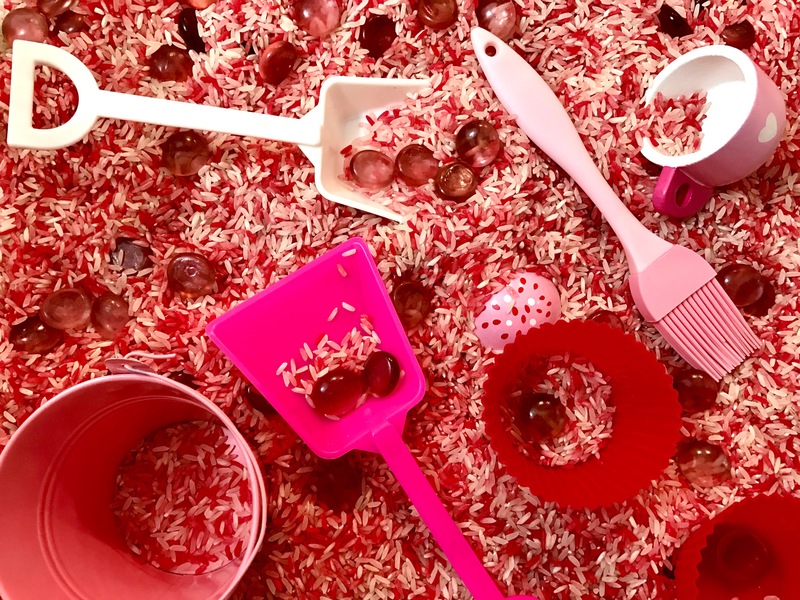 Valentine’s Day Sensory Bin: Sensory bins can magically keep your child occupied for hours! They love to pour, scoop, mix, discover and search for treasures. Dye your rice, click here for directions, add shovels, brushes, pales, cups and glass beads. Make sure to only give the glass beads to children over the age of 3 and under the supervision of an adult. 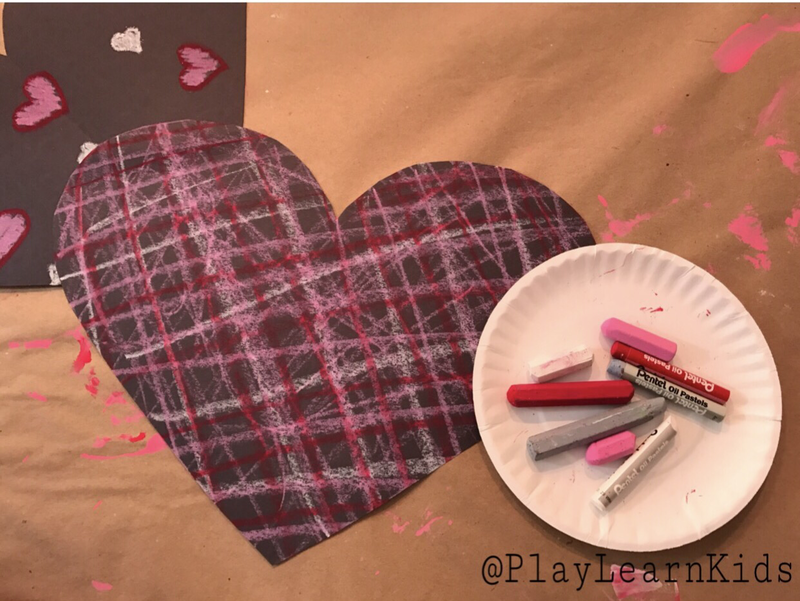 Oil Pastels on Dark Paper: Try coloring with oil pastels on dark paper to create some eye catching Valentine’s hearts. We used black paper hearts and loved the way all of the colors popped on it! 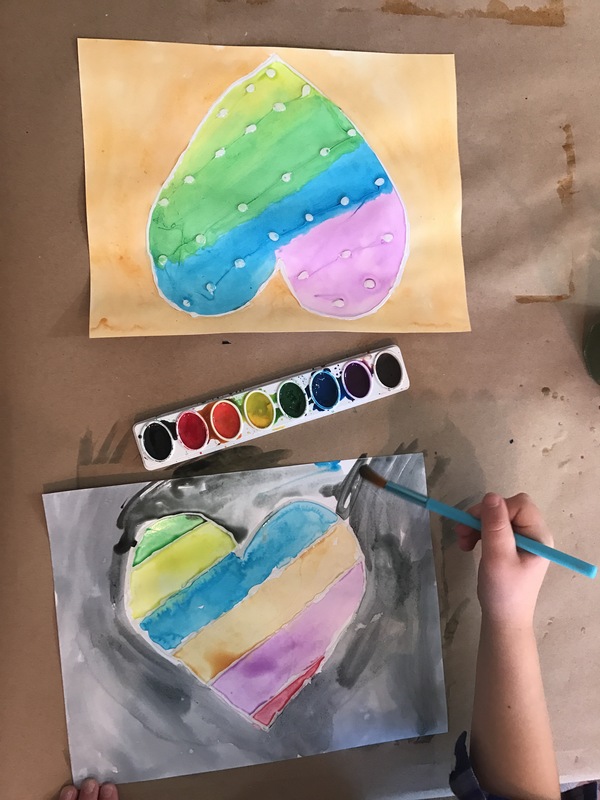 Water Color Resist Hearts: Using a thick white glue, like Elmer’s, draw your design. Let dry completely. Use water colors to paint your picture. The paint will not show up on the parts where there is glue. 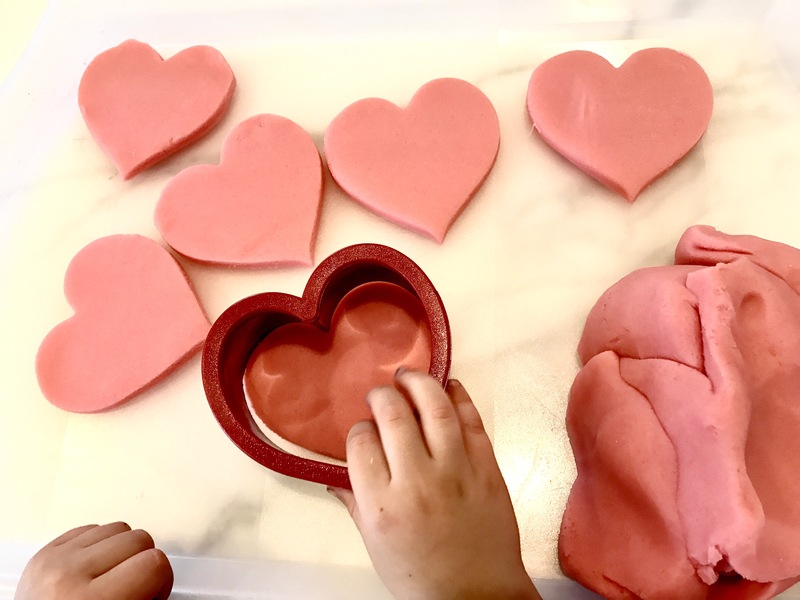 Valentine’s Day Homemade Play-Doh: Make your own pink play doh, recipe here, and use heart shape cookie cutters to create Valentine’s day hearts. You can also add some pink glass beads, straws and glitter to take your play to the next level. 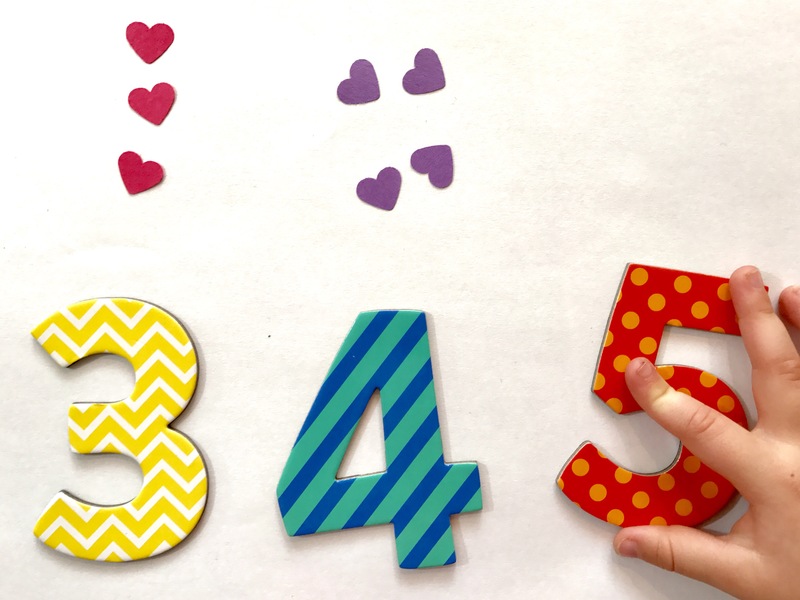 Counting Hearts: Have you child use a heart shaped hole puncher, click here to purchase, to create lots of little, colored hearts. Place numbers, or write your own, in a line. Have your child place the corresponding hearts above each number. 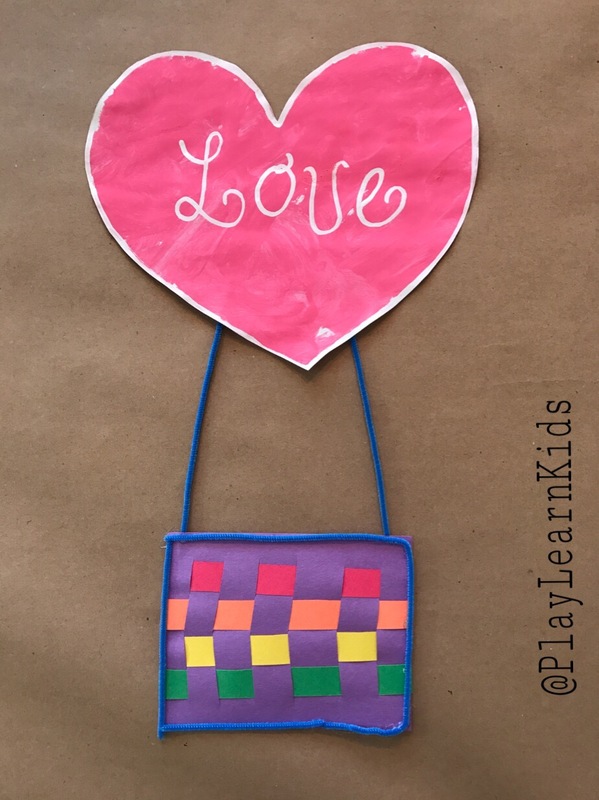 Hot Air Balloon: Create these ‘Love’ hot air balloons by combining a painting heart to a woven paper ‘basket’ using pipe cleaners. 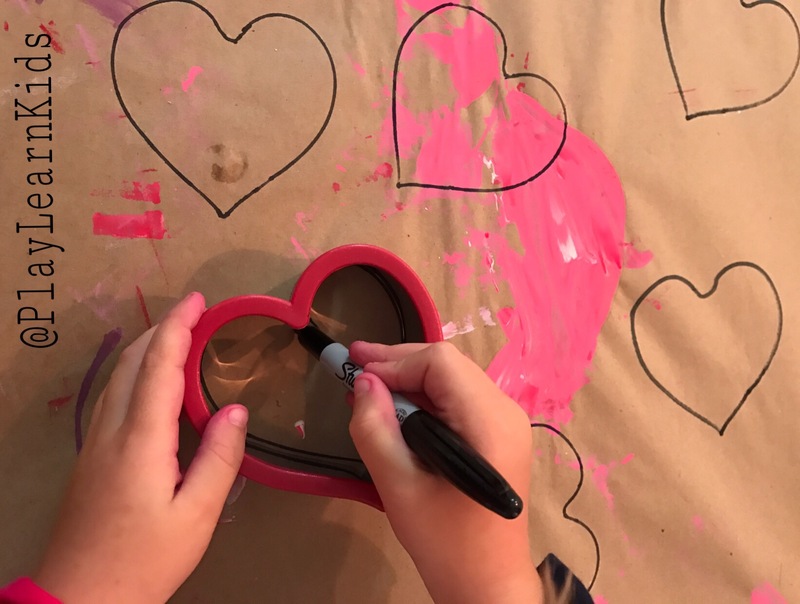 Cookie Cutter Stencils: Using cookie cutters as a stencil can help little ones create perfect hearts! 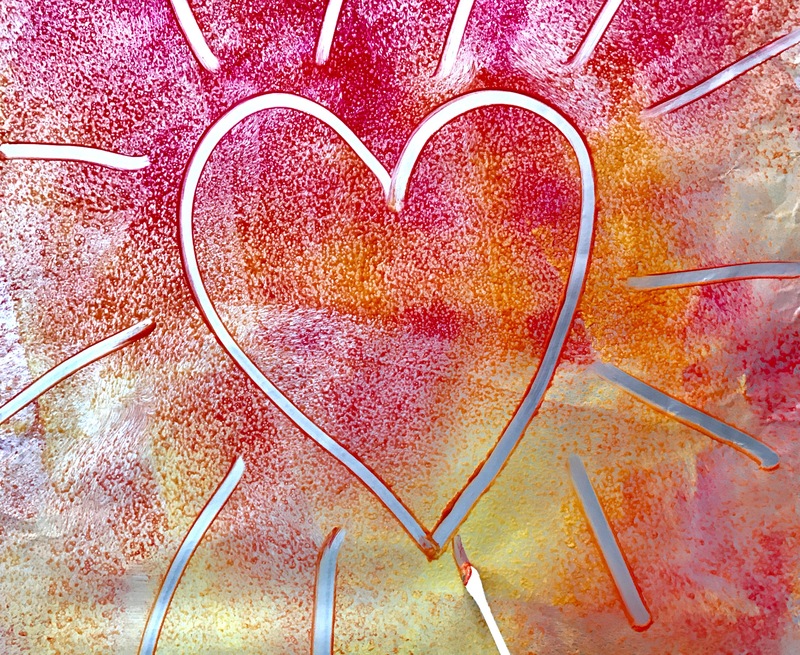 Paint on Foil: Create some Valentine’s day art with a piece of foil, paint and a q-tip. Once your are finished your creation, roll out the paint to start all over with a new picture.